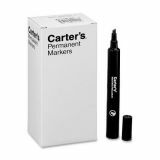 Carter's Large Desk Style Permanent Marker, Broad Chisel Tip, Black, Dozen - Permanent marker writes on almost any surface including cardboard, metal and plastic. Works well both indoors or out. 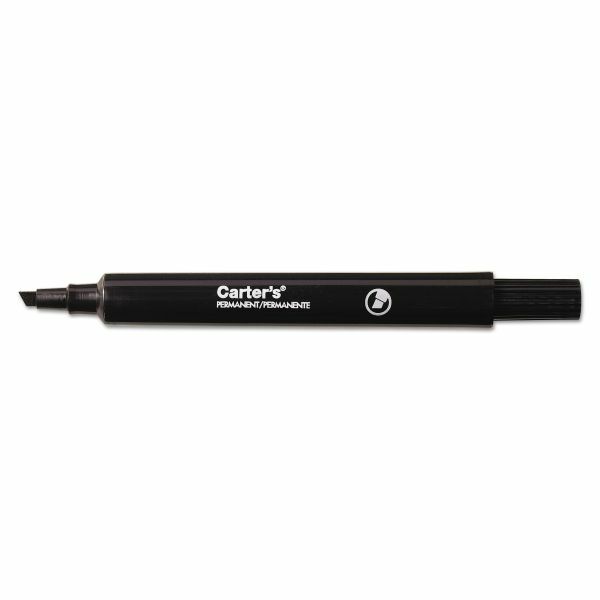 Durable bullet tip stays sharp for consistent line width. Won't fray or "mush." 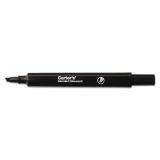 Durable 3/16" chisel tip writes in a variety of line widths. 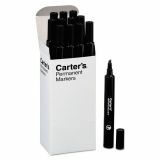 Quick-drying, rich ink is water-resistant and rub-resistant. Water-resistant. Low-odor and nontoxic. 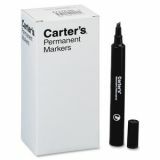 ACMI certified (conforms to ASTM D-4236).